Gert Hunt demonstrating her knitting skills in Conche, Newfoundland. Photo by Lisa Wilson. 2010. Photo courtesy of MUN's DAI. As part of the Collective Memories project the ICH office is showcasing community material which has been placed on Memorial University's Digital Archives Initiative. Check out this interview from May 17, 2010, Lisa Wilson interviews Gertrude Hunt of Conche, Newfoundland. 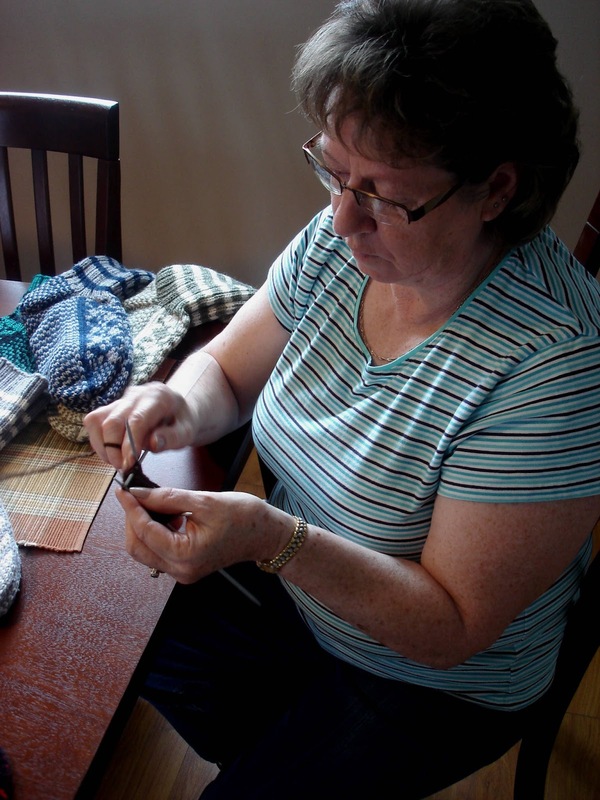 Gertrude discusses knitting, life in Conche, her family, making quilts, working in the Conche fish plant, working in Alberta, and social change in Conche. 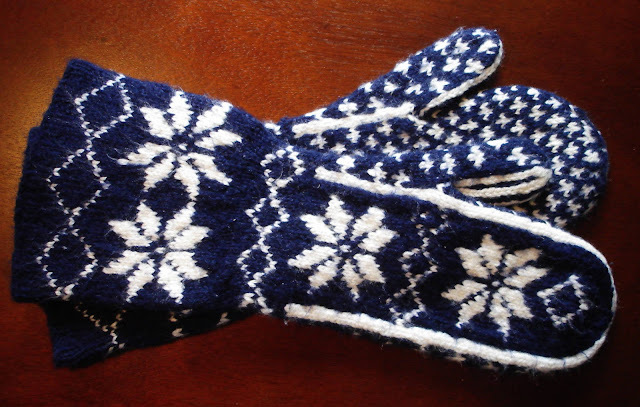 Traditional snowflake pattern mittens with the cuff. Made by Gertrude Hunt, Conche, Newfoundland. Beautiful work, thanks for sharing. Does anyone make hooked rugs anymore? Carolyn, yes! Hooked rugs are very popular now, and many artists are making them. Though, you won't find them on the floor anymore, now people hang them as art!